The Stony Brook cross country team headed up to Boston, Massachusetts on Friday, Sept. 21 to compete in the Coast to Coast Battle. The competition, hosted by Boston College in Franklin Park, featured many nationally ranked men’s teams including #10 Syracuse, #12 Campbell, #17 Virginia, #26 Washington and #30 Ole Miss. Despite the stiff competition, the Stony Brook men’s and women’s teams were able to place seventh and 13th overall, respectively. This was Stony Brook’s first Coast to Coast Battle since 2015. 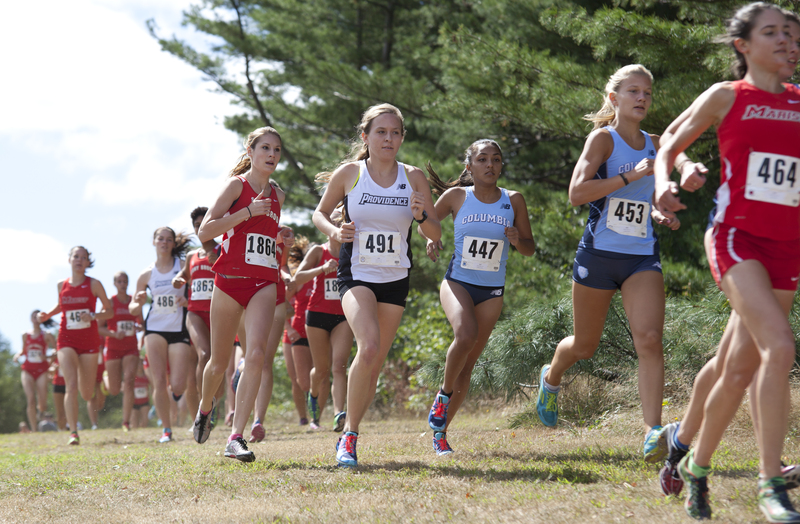 The contest consisted of three events, including the Women’s 5K, the Men’s 8K and the Open Race. Some key individual performances came from junior Cameron Avery, senior Annika Sisson, junior Luke Coulter and freshman Robert Becker. Avery finished 18th in the Men’s 8K with a time of 24:32.9. Earlier this season he placed second in the Wolfie Invitational and is on pace to have his best season as a Seawolf. Junior Greg Mangarelli and sophomore Jayson Hines came in 55th and 61st place respectively. Coulter won his first 5K Open Race for Stony Brook with a time of 15:30.5. Following closely behind in second place was Becker, already delivering for the team in his first season. In the Women’s 5K, Sisson placed 18th with a time of 17:43.8, beating out the 19th place finisher by less than two seconds. Junior Holly Manning placed 72nd with a time of 18:18.9 and freshman Klaire Klemens placed 119th in her first 5K race for Stony Brook. Overall, it was a solid outing for the Seawolves and Ronan was impressed with his squad. Stony Brook will look to carry its momentum forward into its next meet on Friday, Oct. 12 at 4 p.m., when the team goes down to New Jersey for the Princeton University Invitational.